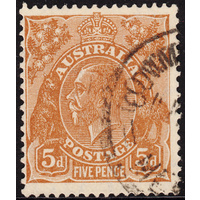 Australia KGV 1931, 5d Brown, Die 2, CofA Watermark, variety 3R43, Second State (White flaw on "d" in Right Value Shield, diagonal scratch behind 'Roo) in Fine Used condition with no faults. 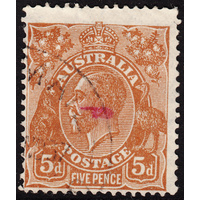 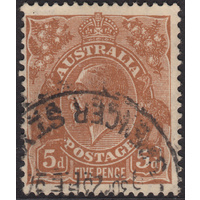 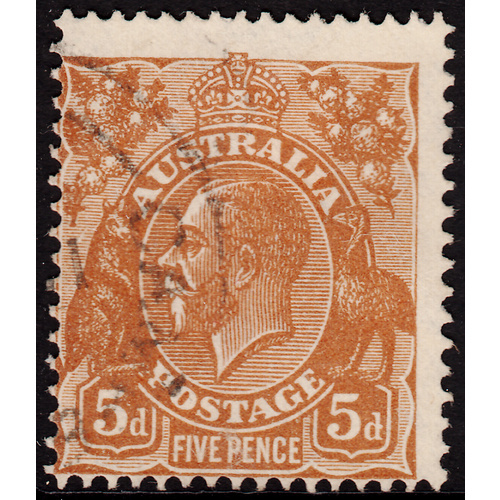 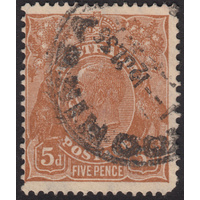 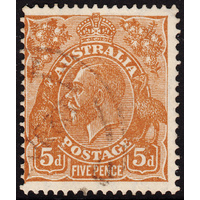 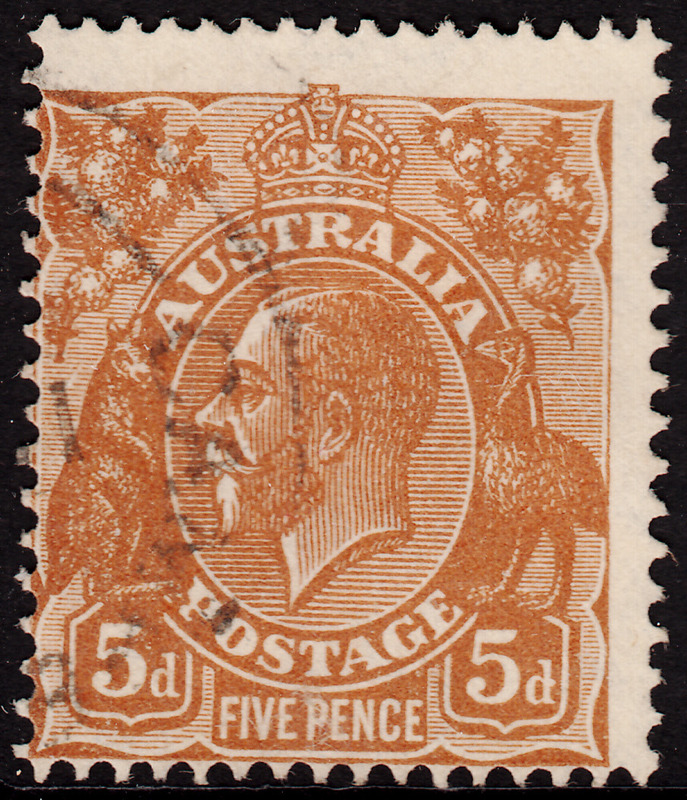 Off-centre to the left and low with a circular datestamp cancellation well clear of the variety and just clear of the second indicator which defines the Second State. 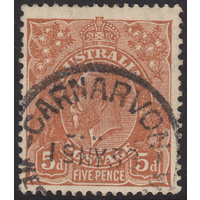 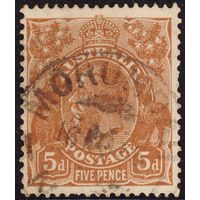 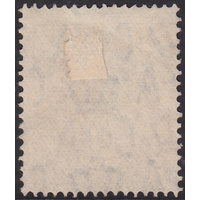 Scarce variety restricted to later printings only. 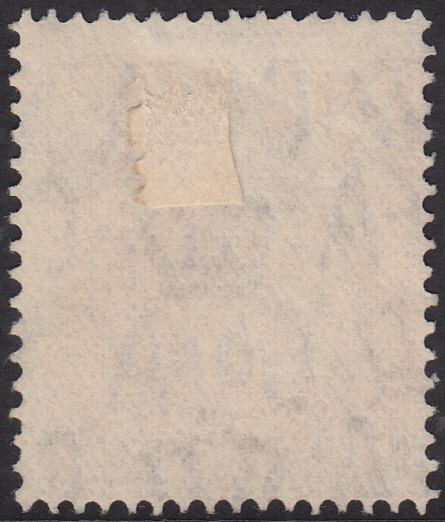 BW 127(3)na.